During new Jeanneau boats presentation in Cannes in March this year, we studied one of the smallest boats presented. It is very special new Cap Camarat, a truly seductive new model that is joining the Jeanneau range boasting a very elegant design: in France it is announced as a new day boat, but for Croatian waters it fits in small family cruiser, with outstanding exterior spaces and intelligent interior layout. During test we had a close look at the prototype, though during sailing we were not allowed to steer due to strict Franch regulations, we really enjoyed to review French geniality that is world known on boats of this size. In case you will sail with friends, the Cap Camarat 9.0 Central Console, the new flagship of the Cap Camarat line, can accommodate up to 11 people on board. It ingeniously blends the performance of a fishing boat (with a hull designed by Michael Peters, single and twin engines for up to 2 x 250 HP), the comfort of a family boat, and the design of a high-end model. With a surprising interior, this new standout outboard model features an innovative and bright living space for comfortably spending nights aboard. 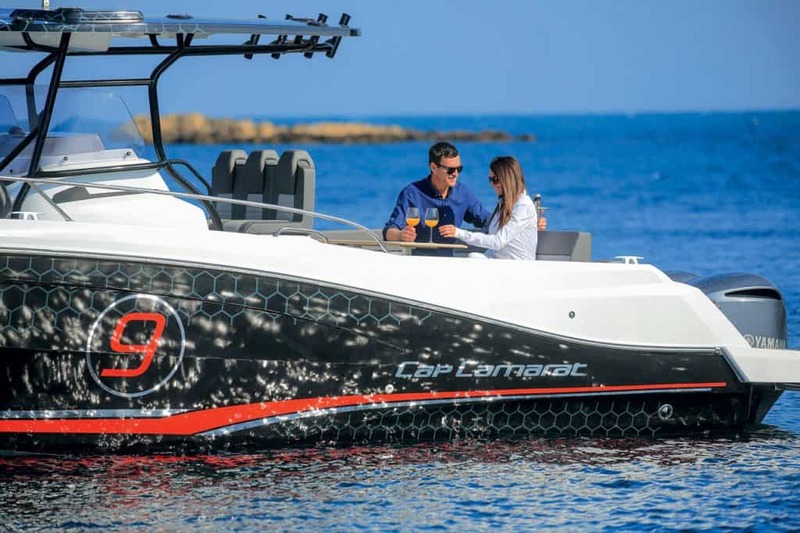 With her strong personality, the Cap Camarat 9.0 Central Console offers multiple possibilities for fun outings on the water with family and friends. She meets the standards of high-performance fishing boats of the latest generation, with exceptionally fluid movement on the deck. Features such as the protective centre console, the wrap-around dashboard and seating for three facing the sea all enhance your comfort while under way. Deep central bench seat, a true sofa, and two folding bench seats contribute to the feeling of spaciousness and comfort in the very large cockpit. We were said this is especially designed to make kids on board more comfortable. Designed for relaxation and well-being, the Cap Camarat 9.0 Central Console features a superb forward cockpit. Comprised of a true daybed and forward saloon, entirely transformable into a vast sundeck. The leaning post contains a fully equipped exterior galley (refrigerator, faucet, gas burner…). Fishing net storage, rod holders, live wells and diverse additional storage lockers facilitate fishing activities. One of the ‘specialties’ of this model is that forward seating can be lifted up to provide direct access to the cabin, bathing the interior in light! For the first time aboard a Center Console of this size, you have a double central berth and an independent head and shower compartment. 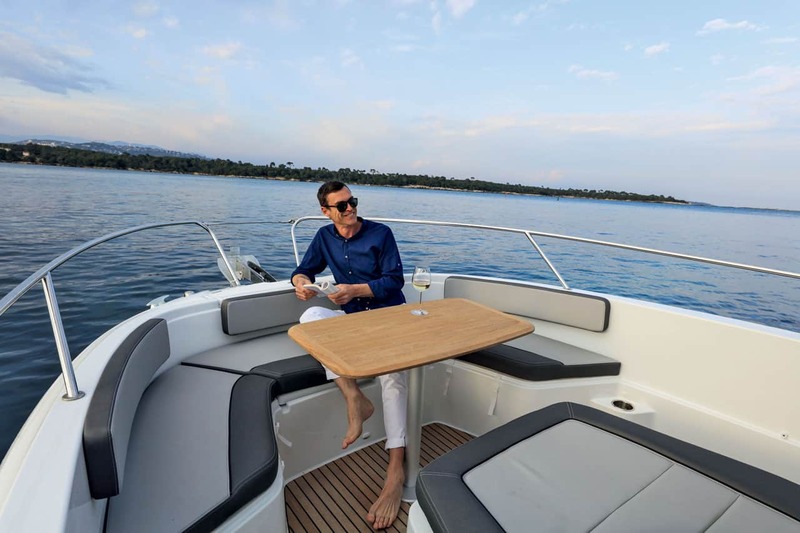 We think the only one with real headache about appearance of this small jewel will be – Jeanneau, as it will be very hard to decide whether to consider their WA model or this one if you consider the boat in size of nine meters. We tip for the innovative central console novelty model.